The final results of the Self-Transcendence 10 and 6 Day Races 2013 are up on the website. 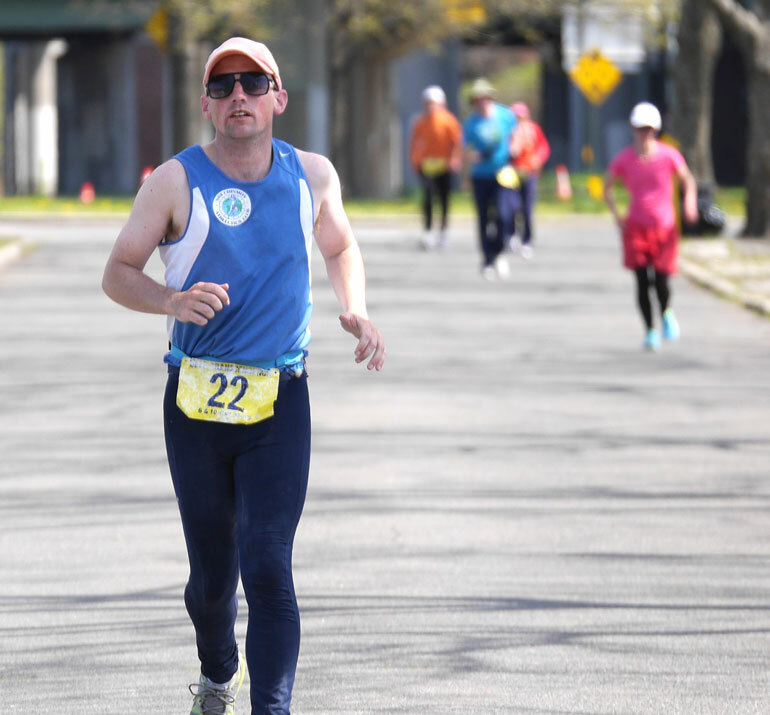 This is the 118th multiday race hosted by the Sri Chinmoy Marathon Team since 1985 and the last day drew some great performances with Dipali, Phil,John Geesler and Ananda-Lahari all going over 70 miles. But the most amazing final surge came from Irishman Nirbhasa Magee in his first multiday race running 159 miles in the last 48 hours with a massive 92 miles on the last day to bring his total to 1001 km. Many thanks to Alan Young for his scoreboard photos and to Utpal at Perfection-Journey for his daily coverage of the races. The top positions in the two races are posted below. April 23: Following Starlit Footsteps.